Performing in Canada for the first time in eight years, ESG brought the party to the Royal Canadian Legion #1. The Bronx quartet combined post-punk, dance and funk into infectious repetition, playing tracks such as "Dance," "UFO," "You're No Good" and "Moody." The group's performance was all about rhythm, steady bass lines coupled with lockstep drumming and an array of percussion. Shakers, cowbell and some extreme whistling livened up their songs — one of their percussionists jogged through the crowd blowing his whistle like a funky gym teacher at one point. 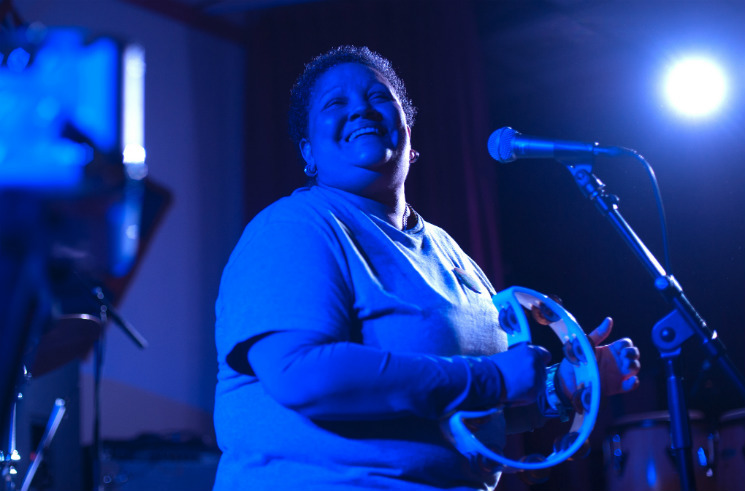 Vocalist Renee Scroggins sang playfully and with soul, delighted by the audience's excitement. At times, the playing felt a hint too mechanical, as lengthy riffs looped over and over, but this provided an opportunity for different vocal stylings and percussion to come in and liven up the sound. Calgarians were grateful that ESG decided to grace their Canadian stage once more with an unabashedly fun performance.